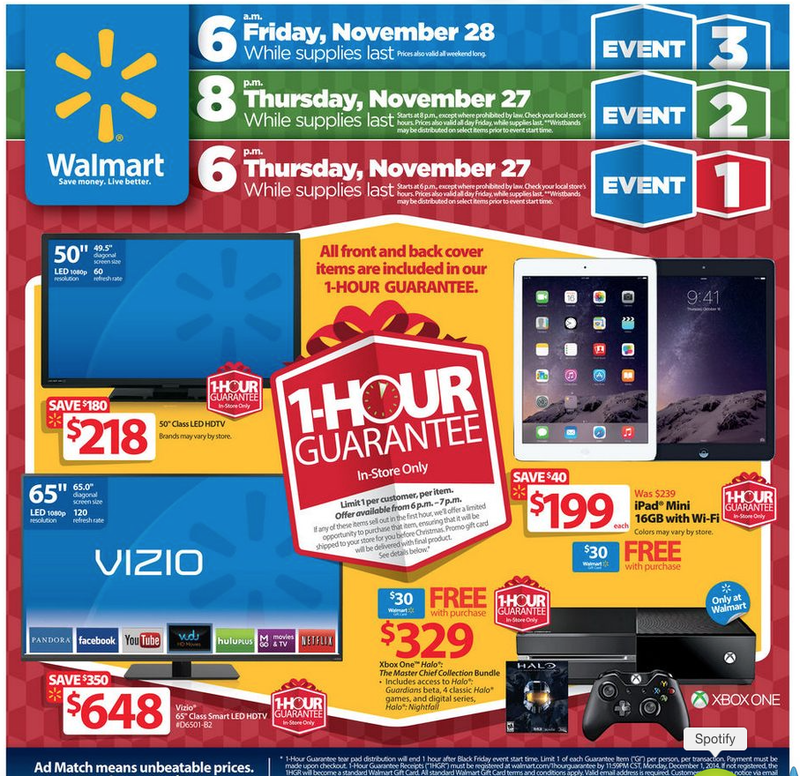 Walmart has announced the company’s Black Friday deals. 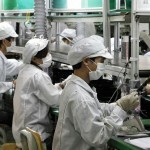 Not surprisingly, many of the deals are on Apple, or Apple-related products. On Thanksgiving Day, Nov. 27, Walmart is selling the 16GB iPad mini for $199, which is a savings of $40. 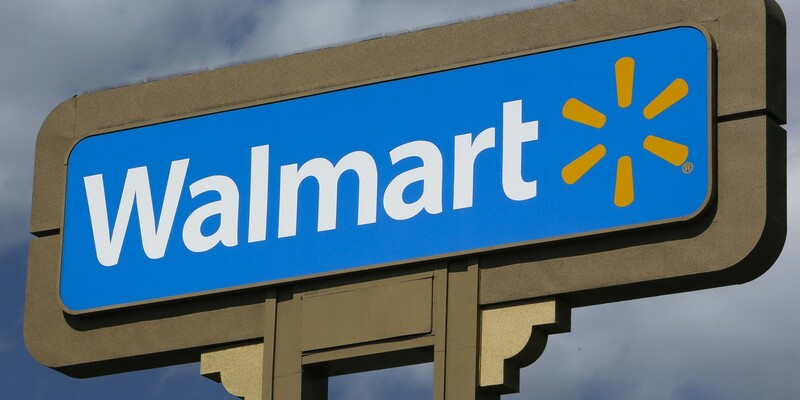 Buyers will also receive a $30 Walmart gift card, which actually brings the price down to $169. The company is also offering Beats Wireless On-Ear headphones for $149, or $130 off. Both of these items are included in Walmart’s in-store only “1-Hour Guarantee.” This locks in the price of these items between the hours of 6 p.m. and 7 p.m. local time. If the items are out of stock, Walmart will ship them before Christmas. Beginning at 8 p.m. on Thanksgiving Day, Walmart is offering a $100 gift card with the purchase of a first-generation 16GB iPad Air. They are also offering $30 gift cards for any iPod touch purchase. A pair of Beats Drenched Solo headphones will sell for $99.95, or $70 off, while that $199.95 Beats Pill portable speaker will sell for $99.95. On Black Friday, Nov. 28, Walmart is giving away $75 gift cards with any iPhone 6 or iPhone 5s purchase. They are also offering at least $200 (as a gift card) on any smartphone trade-in. 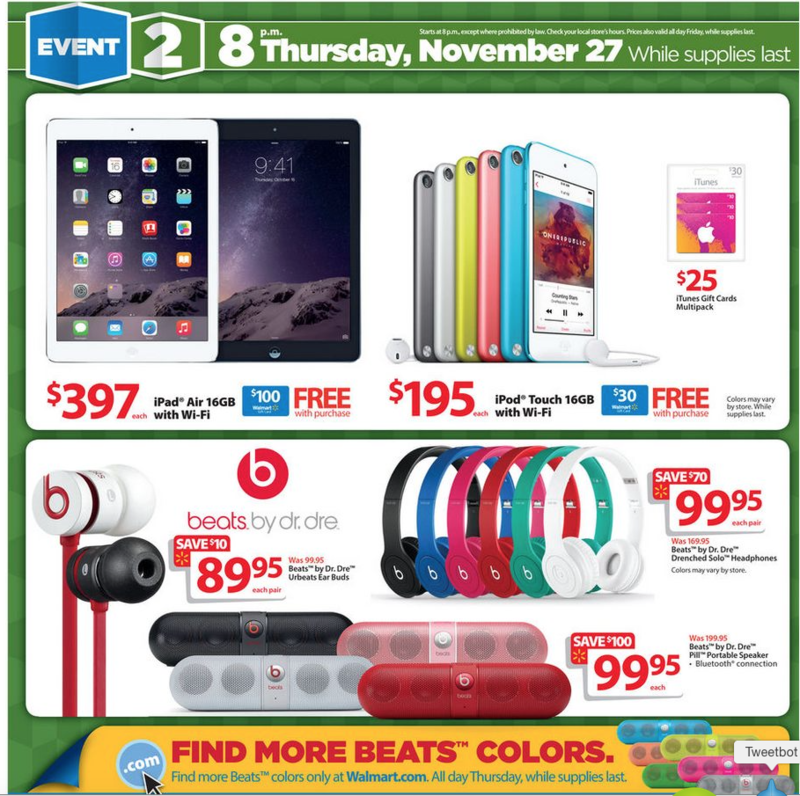 See also: Best Buy previews Thanksgiving Day and Black Friday Deals for 2014, and Target announces some spectacular Black Friday deals on Apple products.